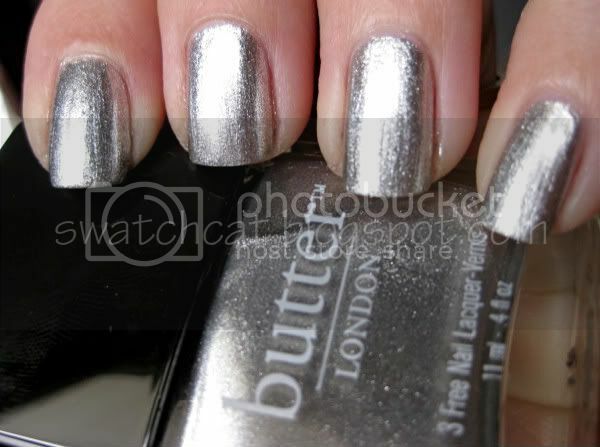 Want a bright, silvery foil with little bits of glitter? Diamond Geezer would be it. I almost wore this for New Year's Eve, but I figured bright foily, silver would be too cliche. Eh, I have the rest of the year to wear this one. Excellent foil. Looks awesome on you.